Sorry I have had a break from creativity for a little while but I am back on my game......This was too fun to create!!! I have had a few people looking for punch only classes so being at the beach I am working this little guy into it. More to come on the details for classes. This is the FIRST of many to come of the Technique Tuesday Series!! I hope you enjoy them. For the first week I choose the Rock & Roll Technique!! Please see below the photo to learn what you need for this project and how to do this technique. Eventually I will have a free tutorial format with photos of each of the steps for you on Tuesday's. In the meantime I hope you enjoy this. This gives you the whole view of this card. This view shows you how the glittered flower is raised with dimension. Two Ink pads -One lighter and One darker color - Rich Razzelberry and Lucky Limeade were used for the above sample. 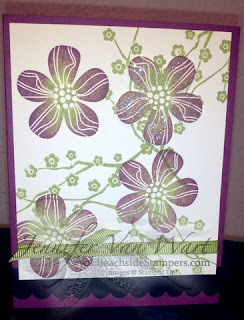 Solid Stamp - Eastern Blooms was used for this sample. 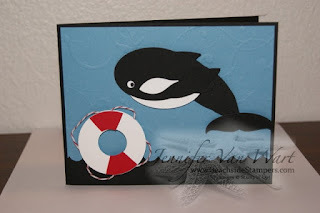 Cardstock - Rich Razzeleberry, Very Vanilla, and Basic Black were used for this sample. Embellishments - Dazzling Diamonds Glitter and Old Olive Gros-grain Ribbon were used for this sample. 1)The first step you are going to do is to take your stamp and ink it up really good in the lighter ink pad of your choice. 2) Then take the stamp with the lighter ink on it and roll the edges in the darker ink pad. 3) Stamp your image and you have just Rocked & Rolled!! If you have any questions about the instructions feel free to email me directly at beachsidestampers@yahoo.com. If you would like to order the products used in this project you can go to my Shop Now and it will take you to the website to place your order, or you may email me directly as well. Thanks for stopping by and I hope you will visit again soon. 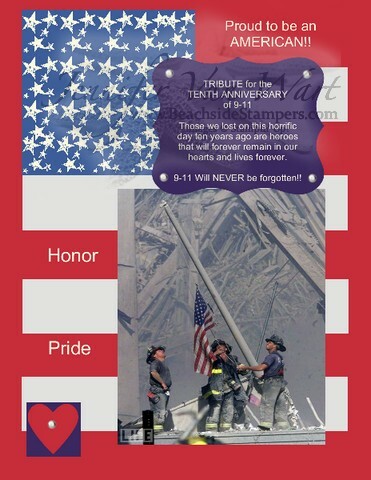 This page was created to remember all that we lost on this tragic day. I remember exactly where I was and exactly what I was doing. 9-11 will NEVER be forgotten and those that we lost will forever remain in our hearts. GOD BLESS AMERICA......and GOD BLESS ALL THOSE THAT SERVE TO PROTECT US!! !